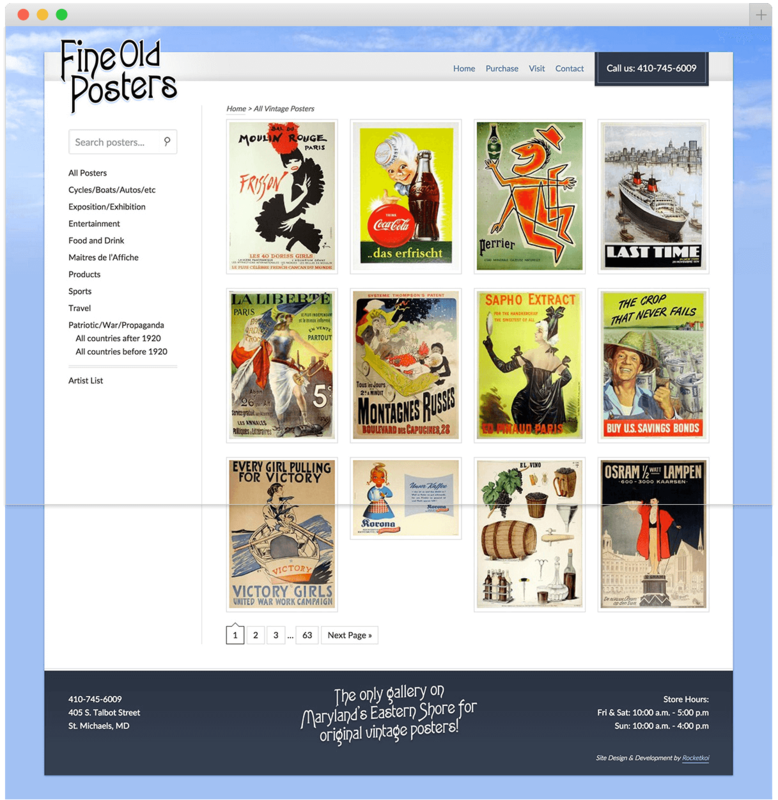 We originally built Fine Old Posters’ website in 2004. Besides a slight refresh that coordinated with their move to St. Michaels, Maryland in 2006, it hadn’t been touched. Users’ expectations have changed a lot since then and we focused on meeting them. Our client loved their existing design. It reflected their store, their personality, and their location in St. Michaels. Bringing that design into WordPress and onto mobile devices meant creating a custom theme. 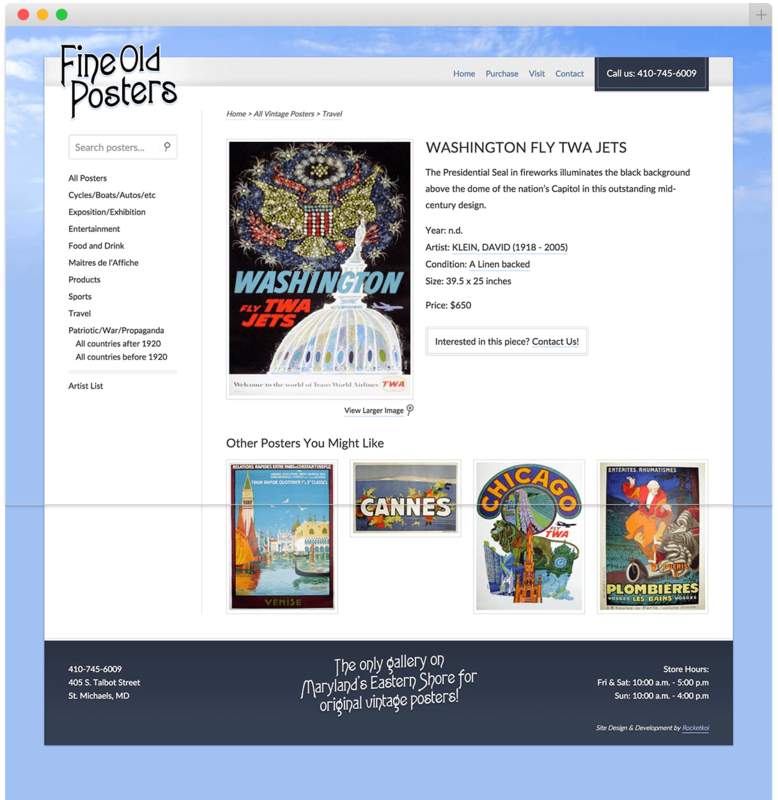 We also used Advanced Custom Fields, Post Types Order, and other plugins to give Fine Old Posters an easy way to update posters on a very regular basis.